The history of the mighty Rush could and has filled many a book. Since their inception in 1968 – and of course they remain a vital force five decades later – the Canadian power plus trio have thrilled listeners and audiences with their heady blend of prog, intelligent heavy metal and hard rock balladry, defying time and tide. They were inducted into the Rock and Hall of Fame in 2013 as a band while the individual members – Geddy Lee, Alex Lifeson and Neil Peart hold numerous individual gongs. Longevity and critical acclaim aside, Rush have had sales approaching 40 million along with numerous gold, platinum and multi-platinum discs. Their bluesy metal overtures have evolved across the years as they embraced serious progression and thrilling synthesiser sounds. In keeping with their auxiliary work above and beyond the call of duty these good guys are actively involved in philanthropic causes, ranging from UNICEF liaisons to human rights activism. They have played countless benefits in their homeland, where they are simply musical gods and that acclaim spreads across the globe. Following fledgling performances in their native Willowdale, a neighbourhood of Toronto, Ontario, the origins of Rush took shape when Lee joined forces with original drummer John Rutsey and then front man Jeff Jones. It wasn't long before Lee replaced Jones and Lifeson jumped on board. Originally influenced by exposure to the heavy end of the British blues boom, specifically the sounds of Led Zeppelin, Deep Purple et al, Rush carved out a loyal local following but struggled to break out until 1974 when their self-titled debut was swiftly followed by Rutsey's departure and the arrival of Peart. The group now concentrated on their instrumental skills, spending hours in rehearsals. It was solid groundwork. The debut Rush was coloured by elements of Cream and boasts a fine crisp production, harbinger of the outfit's insistence on technical excellence. Much loved by fans for its more idiosyncratic bluesy styling, the album contains early classics like the self-explanatory 'Finding My Way', the blue-collar anthem 'Working Man' and 'In The Mood'. Having set the groundwork, the template was subtly shifted for Fly By Night, with Peart's arrival as super drummer and lyricist. 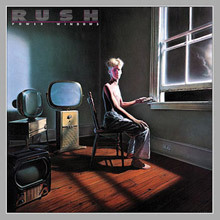 Elements of fantasy entered Rush's realm on 'By-Tor & The Snow Dog' (a suite in eight parts) and 'Rivendell' while the influence of Peart's favourite philosopher Ayn Rand became apparent. Engineer Terry Brown, a key figure during this time, ensured clarity of sound that made Rush many an audiophile's go to rock band. Caress of Steel (1975) picked up the baton as the trio entered epic territory on 'The Necromancer' and 'The Fountain of Lamneth', both revered items in their repertoire but it was the monumental 2112 album that made people sit up and take note. For Rush, this was their precursor to true break out mainstream acceptance. Mixing side two's concise cuts with the title piece sweep of side one, Lee, Lifeson and Peart sought out new sounds to match their increasing ambition. Guest player Hugh Syme was the ideal component since he added ARP Odyssey and mellotron. The die was cast. The reviews were hugely favourable. The tours were starting to become major events. Later recognition arrived via various polls (Rush are constant winners in various categories) and Rolling Stone have called 2112 one of the most important prog albums of all time. The ensuing 2112 tour gifted the world the double live All the World's a Stage and these players were certainly on top of their game. They'd made a quantum leap in two years and while live albums are notoriously slow sellers this one was not as it hit the US Top 40. The remastered version is a must-have since it reinstates all the vinyl cuts and duplicates the glorious triple gatefold sleeve. A Farewell to Kings is much loved by British fans of course, partly because the trio had played the UK and recorded this disc at Rockfield Studios in South Wales. Geddy Lee now took over lyrical duties and there is a change of mood afoot in some softer, ballad-like pieces like 'Madriga'l and 'Closer to the Heart'. Another chart smash, A Farewell to Kings saw Rush breach the British Top 30. Meanwhile the increasing use of synths, Mini Moogs, classical twelve-strings and exotic percussion ensured Rush were a full on experience. Hemispheres saw them spending more time in Europe. They returned to Rockfield and mixed at the legendary Trident Studios. Peart took control of the writing again and infused the tracks with science fiction motifs and surreal fantasy. Even so they could look at themselves from outside, hence the playfully subtitled 'La Villa Strangiato (An Exercise in Self-Indulgence)'. 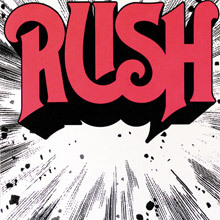 Nevertheless, sprawling, mood switching statements are what Rush's fans demand and they get those with both barrels blazing on the brilliant 'Cygnus X-1' whose very name sends shivers down the spines of admirers and has inspired an entire culture of its own. When a band can reach that level of fanaticism they must be doing more than one thing right. Permanent Waves (released New Year's Day, 1980) soared to the top five in America and eventually sold platinum. 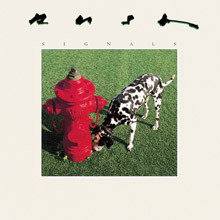 Relocating to Quebec, they experimented again, infusing their brew with quirky time signatures, lashings of fantasy and an even more upfront role for Lifeson's guitar. A nod towards reggae on 'The Spirit of Radio' indicated there was no desire to stand still and the disc received their best reviews to date and chart places top match. 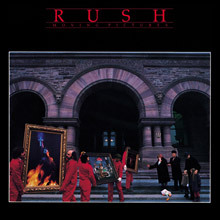 Moving Pictures was and is Rush's biggest seller, eventually achieving the quadruple-platinum effect. Adapting their sound to suit FM radio's poppier side they hit with singles 'Tom Sawyer' and 'Limelight' and maintained their credibility on 'Red Barchetta' and 'YYZ'. Melodically adroit throughout and yet packed with fervour, this album gives the lie to the naysayers and doubters. It's a stone cold classic. Exit…Stage Left – another live beauty from 1981 now saw Rush capitalising on the video age and embracing the mixed 12-inch single. Recorded in Montreal and Glasgow, hotbeds both, this meaty double set is a gloriously conceived summation of their act at the time and rejuvenated the troops for their ninth studio disc, Signals where all-out assaults on rapidly ravenous technology informed their approach. Thanks to diligence and a work ethic that would have sunk a lesser act Rush were now able to straddle the albums and singles market thus keeping them on heavy rotation thanks to stand out cuts like 'New World Man', 'Subdivisions' and 'The Analog Kid'. Again the remaster is highly recommended. 1984's Grace Under Pressure ushers in a sea change as long time production associate Terry Brown was amicably replaced by Peter Henderson (Supertramp, Frank Zappa, King Crimson). Very much a concept album (previously they'd juggled various concepts within a whole) Peart's concerns here are how society acts under pressure from technology, emotion and darker forces of evil. Eschewing programmed sounds Rush adopted an almost organic approach, stripping the instrumentation back and pushing the vocals to the front of the mix. They maintained that stance on Power Windows (recorded in England) and showed they were also fully conversant with the aftermath of the punk scene and even the emergence of the ZTT movement since they used Trevor Horn's Sarm studios in part and employed in-house strings arranger Anne Dudley from The Art of Noise. Hold Your Fire and A Show of Hands found Rush holding their own in the latter 1980s even though the musical terrain had shifted considerably. The latter live album is a perfect accompaniment to earlier on the boards sets, containing magnificent versions of 'Manhattan Project', 'Distant Warning' and 'Red Sector A' – crowd pleasers to the nth degree. 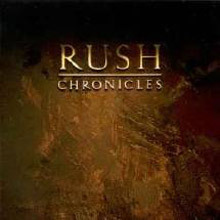 For those with the desire to venture even further we point you towards the comprehensive compilations – Chronicles, Retrospective I and Retrospective II (covering the years 1974-1980 and 1981-1987), The Spirit of Radio – Greatest Hits 1974-1987 and Gold which teams the Retrospective discs in a handy package. Very much an ongoing concern today, Rush is a prolific and potent force in the development and improvement of contemporary prog. Lee, Lifeson and Peart, we salute you. Whereas Rush's first two releases, their self-titled debut and Fly by Night, helped create a buzz among hard rock fans worldwide, the more progressive third release, Caress of Steel, confused many of their supporters. Rush knew it was now or never with their fourth release, and they delivered just in time -- 1976's 2112 proved to be their much sought-after commercial breakthrough and remains one of their most popular albums. Instead of choosing between prog rock and heavy rock, both styles are merged together to create an interesting and original approach. The entire first side is comprised of the classic title track, which paints a chilling picture of a future world where technology is in control (Peart's lyrics for the piece being influenced by Ayn Rand). Comprised of seven "sections," the track proved that the trio members were fast becoming rock's most accomplished instrumentalists. The second side contains shorter selections, such as the Middle Eastern-flavored "A Passage to Bangkok" and the album-closing rocker "Something for Nothing." 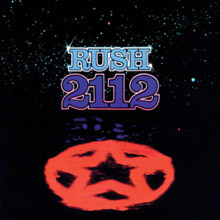 2112 is widely considered by Rush fans as their first true "classic" album, the first in a string of similarly high-quality albums. Prior to one of Rush's first U.S. tours, original drummer John Rutsey split from the band, since he wasn't prepared to commit to the band's rigorous touring schedule. And it proved to be a blessing in disguise, since his replacement was to become one of the most respected rock drummers of all time, Neil Peart, who would also steer the band towards success with more challenging material -- starting with Fly by Night. While the title track and the album-closing ballad, "In the End," still had Zeppelin roots, the album isn't as straightforward as the debut. Rush's first bona-fide classic, "Anthem," is included, while the over eight-minute "By-Tor and the Snow Dog" helped pave the way for the group's future epics ("2112," "Cygnus X-1," etc. ), and introduced the fans to Peart's imaginative lyric writing, often tinged with science-fiction themes. The reflective and melodic "Making Memories" is an underrated early composition, while "Beneath, Between, &amp; Behind" is a furious heavy rocker. 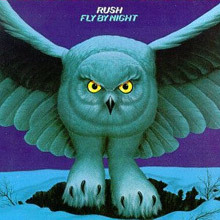 Fly by Night may not be one of Rush's finest albums, but it is one of their most important -- it showed that the young band was leaving their Zep-isms behind in favor of a more challenging and original direction. 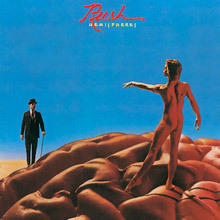 While such albums as 1980's Permanent Waves and 1981's Moving Pictures are usually considered Rush's masterpieces (and with good reason), 1978's Hemispheres is just as deserving. Maybe the fact that the album consists of only four compositions (half are lengthy pieces) was a bit too intimidating for some, but the near 20-minute-long "Cygnus X-1 Book II - Hemispheres" is arguably the band's finest extended track. While the story line isn't as comprehensible as "2112" was, it's much more consistent musically, twisting and turning through five different sections which contrast heavy rock sections against more sedate pieces. Neil Peart had become one of rock's most accomplished lyricists by this point, as evidenced by "The Trees," which deals with racism and inequality in a unique way (set in a forest!). And as always, the trio prove to be experts at their instruments, this time on the complex instrumental "La Villa Strangiato." Geddy Lee's shrieking vocals on the otherwise solid "Circumstances" may border on the irritating, but Hemispheres remains one of Rush's greatest releases. Since Neil Peart joined the band in time for 1975's Fly by Night, Rush had been experimenting and growing musically with each successive release. By 1980's Permanent Waves, the modern sounds of new wave (the Police, Peter Gabriel, etc.) began to creep into Rush's sound, but the trio still kept their hard rock roots intact. The new approach paid off -- two of their most popular songs, the "make a difference" anthem "Freewill," and a tribute to the Toronto radio station CFNY, "The Spirit of Radio" (the latter a U.K. Top 15 hit), are spectacular highlights. Also included were two "epics," the stormy "Jacob's Ladder" and the album-closing "Natural Science," which contains a middle section that contains elements of reggae. Geddy Lee also began singing in a slightly lower register around this time, which made their music more accessible to fans outside of the heavy prog rock circle. The album proved to be the final breakthrough Rush needed to become an arena headliner throughout the world, beginning a string of albums that would reach inside the Top Five of the U.S. Billboard album charts. 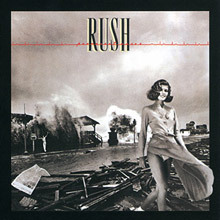 Permanent Waves is an undisputed hard rock classic, but Rush would outdo themselves with their next release. 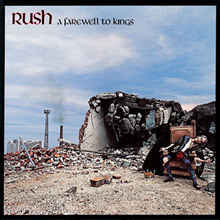 On 1977's A Farewell to Kings it quickly becomes apparent that Rush had improved their songwriting and strengthened their focus and musical approach. Synthesizers also mark their first prominent appearance on a Rush album, a direction the band would continue to pursue on future releases. With the popular hit single "Closer to the Heart," the trio showed that they could compose concise and traditionally structured songs, while the 11-minute "Xanadu" remains an outstanding accomplishment all these years later (superb musicianship merged with vivid lyrics help create one of Rush's best all-time tracks). The album-opening title track begins with a tasty classical guitar/synth passage, before erupting into a powerful rocker. The underrated "Madrigal" proves to be a delicately beautiful composition, while "Cinderella Man" is one of Rush's few songs to include lyrics penned entirely by Geddy Lee. The ten-minute tale of a dangerous black hole, "Cygnus X-1," closes the album on an unpredictable note, slightly comparable to the two bizarre extended songs on 1975's Caress of Steel. A Farewell to Kings successfully built on the promise of their breakthrough 2112, and helped broaden their audience. Though the band has since released four more albums on Atlantic Records, this double-disc set was the original, definitive Rush anthology, spanning the band's entire 15-year, 16-album relationship with Mercury Records. In fact, this set is virtually perfect, clearly illustrating the Canadian power trio's evolution from Cream/Zeppelin enthusiasts into a groundbreaking, progressive hard rock unit. Acclaimed classics like "Finding My Way," "Fly by Night," "A Passage to Bangkok," "Closer to the Heart," "The Spirit of Radio," and "Tom Sawyer" are interspersed with less-well-known, but equally vital tracks like "Bastille Day," "La Villa Strangiato," "Limelight," "Subdivisions," and "Red Sector A" to paint a literal moving picture (pun intended) of the band's career. As a testament to its excellence, Mercury was incapable of improving upon this package when releasing the nearly identical Retrospective six years later on two separate CDs. With Alex Lifeson choosing sparse, horn-like guitar bursts over actual crunch, Geddy Lee's synthesizers running rampant, and Neil Peart's crisp, clinical percussion and stark lyrical themes (evoking cold urban landscapes), the result just may be the trio's "coldest" album ever. Still, it does boast its share of important tracks in "Marathon" and "Manhattan Project," while offering an energetic, tongue-in-cheeck hit single in "The Big Money." In an album that rewards patience (repeated listens are the key), the most gripping moments are saved for last, with the beautifully eerie textures of "Mystic Rhythms," a song that was later used as a concert drum solo showcase for Peart.